Since 1995 Turf Lawns have been a family run business that prides itself on producing the very best quality seed grown turf. 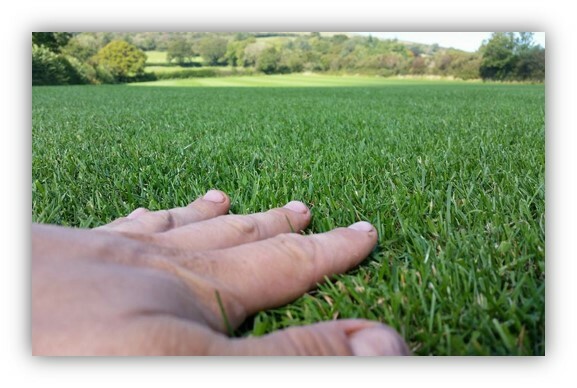 We are a professional and trusted turf supplier in Powys and throughout Wales. Our priority is not only achieving the highest quality lawn turf but delivering exceptional service to our new and existing customers. At Turflawns our Premium Lawn Turf is cut in the preferred 24" wide rolls. We harvest the turf with a high tech, one man operation turf harvester that cuts 24" wide rolls. The floating head ensures consistent turf and we change our blades regularly so that the edges of the turf are not torn or stressed. Our Premium Lawn Turf is grown to a very high standard. We supply turf in Powys anytime throughout the year in all seasons. We can even supply your turf the very next day if an order is placed before midday. To see just how good, the quality of our turf is just watch our short video on our turf production and processes… you will be amazed! All of our turf is fully cultivated and grown from seed that allows the turf to be hard wearing and durable yet lovely and lush in appearance, it is also fully treated for weeds and pests. 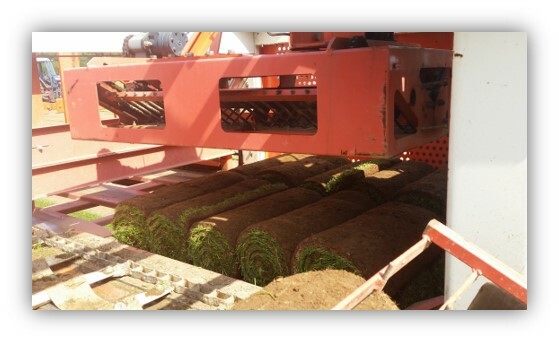 We cut all of our turf FRESH to order ensuring that the turf is in perfect condition when it arrives with you. We also supply a Supreme Shade and Wear Turf. Turf Lawns Supreme Supina shade and wear turf has a first class appearance, outstanding bright green colour, not to mention it is extremely hard wearing and durable. Our Shade and wear turf seed is carefully sourced and blended before it's sown into a delicately prepared seedbed. Not to mention the Supina has a longer active season, therefore it will look greener earlier in the spring and later in the autumn. To get an instant quote for supplying turf please use our calculator at the top right of the page. Just enter the amount of turf that you require and your postcode, this will calculate you a total delivered turf price. We care about our Turf and our customers-Thank you for visiting our site!